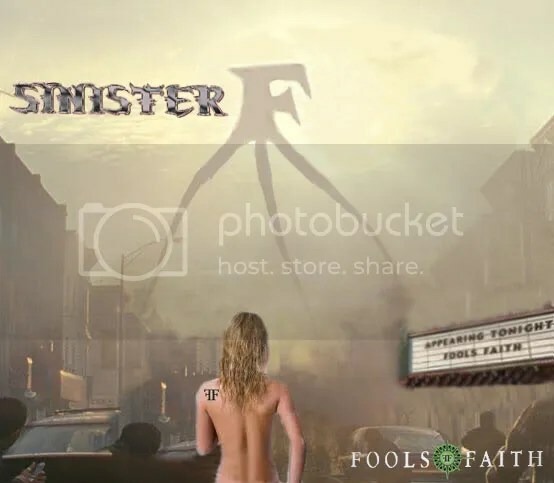 Sinister F is the sophomore effort from this Connecticut-based rock band after having released their debut Undone in 2007. A previous line-up of the group went by the name of Aftermath and had released Natural Destruction on the Escape Music label in 2003. I wasn’t really aware of this band and by looking at the cover, I was expecting something heavy and perhaps something I wasn’t going to like. Instead, Fools Faith’s Sinister F delivers a great assortment of hard rock and melodic rock. Although the music and production certainly is modern and I can imagine a number of these tracks making it to radio (“Possession” has enough modern crunch), I still get a late ’80s/early ’90s melodic hard rock vibe from these guys that reminds me of groups such as Babylon A.D. and Mass at times. For my first spin of the album I put it on as background noise and actually ended up getting sucked into a few songs like the “Across the Sky”, “Change Direction” and “Wait for Me”. Great melodies all around this album whether we’re dealing with rockers or ballads. Speaking of ballads, “Won’t Be Home (Tonight)” is fantastic. Great melancholy piece of melodic rock. Had I done a list of the Top 30 albums for 2011 (instead of my usual Top 25), there is no doubt that Sinister F would’ve made the cut. Don’t get me wrong though, Fools Faith have delivered a hell of an album and are definitely worth seeking out for fans of melodic hard rock.